The ATN NVM14-WPT Multi-Purpose Night Vision Monocular is a high-performance, versatile - handheld, head-mounted, helmet-mounted, and weapon-mounted - Night Vision Monocular System that enables activities such as walking, driving, weapon firing, night surveillance, map reading, vehicle maintenance and administering first aid under the cover of darkness. 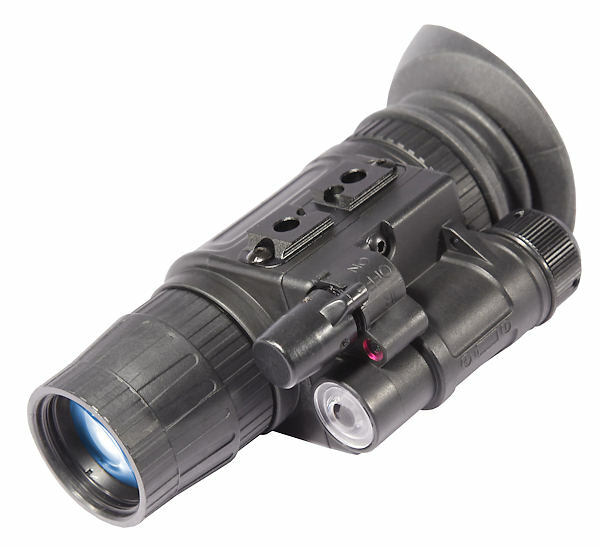 The ATN NVM14-WPT Multi-Purpose Night Vision Monocular is a line of select units based on ATN White Phosphor Technology (WPT) commercially developed for Boating, Camping and other recreational uses. ATN's White Phosphor Technology© provides users with natural B&W Night Vision Image which provides clearer information about contrast, shapes and shadows than the usual green. The majority of the WPT™ performance characteristics are on par or better than the latest Gallium Arsenide based Image Intensifier Tubes. WPT™ specifications include typical resolution of 60 lp/mm (with some over 74lp/mm) and Signal-to-Noise figures as high as 25. Operators who tested NVM14-WPT units reported a significantly better degree of detail, overall contrast, full-moon similarity and range of shades. WPT™ provides more discriminating shades of intensity between white and black than between green and black resulting in better contrast and depth perception than when compared to green phosphor NVGs. Note: This product is Not available for export. 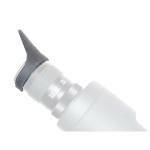 A signed export compliance and end use statement are required prior to shipping of these units. Dimensions: 4.7" x 1.9" x 2.7"